Donald Trump’s kids take a lot of abuse from the media on a daily basis, even though they’re not usually doing anything wrong… but the children of Democrats (like Joe Biden and anyone named Kennedy) seem to get away with terrible behavior. 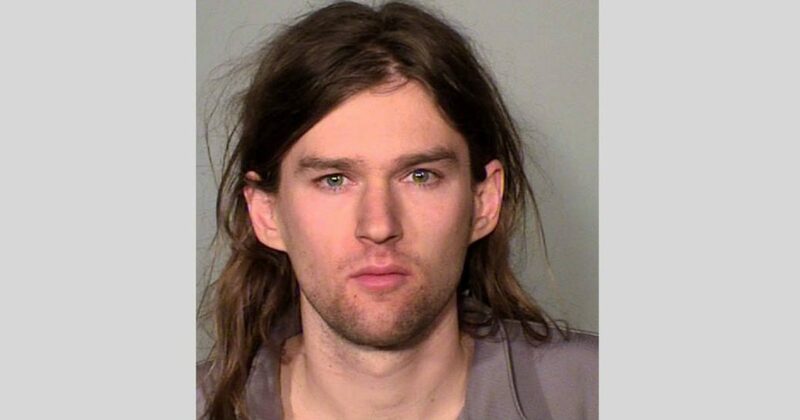 Another example of this happened over the weekend when Tim Kaine’s youngest son, Linwood Michael Kaine, was arrested Saturday on suspicion of second-degree rioting at a pro-Trump event at the Minnesota state capitol. Kaine and some friends crashed a pro-Trump rally at the Capitol and decided the best way to show their displeasure was to wreak some havoc and hurt some Trump supporters. Speeches had been going on for about a half-hour inside the newly renovated Capitol rotunda when a group of people tried to disrupt the event. At one point, someone set off a smoke bomb — apparently striking a woman in the head, police said. A 61-year-old Plymouth woman said she was hit in the head at 12:30 p.m., about 10 minutes after she arrived at the Trump rally. The woman said she saw something coming toward her, tried to avoid the object, but it struck her in the forehead, according to Steve Linders, a St. Paul police spokesman. She was not injured. It was not clear who threw the smoke bomb. Security guards intervened, skirmishes broke out, and someone sprayed chemical irritant into the crowd. Some counter-demonstrators dispersed, and the rally resumed. For some reason this story isn’t getting much play in the mainstream media, I wonder if it would have gotten more press if it had been a Trump child committing a crime and not a Kaine? WikiLeaked! No Need For Wiretaps on Trump! Obama Already Had the NSA & CIA Spying on Americans!! !Anti-Semitic Muslim Women's March Leader Arrested in NYC!